The 'Veep' Final Season 7 premiere took place this evening(March 26th) at Alice Tully Hall, Lincoln Center in New York City. Jessica Williams is not a red carpet regular but she tends to make some great fashion choices whenever she steps out. 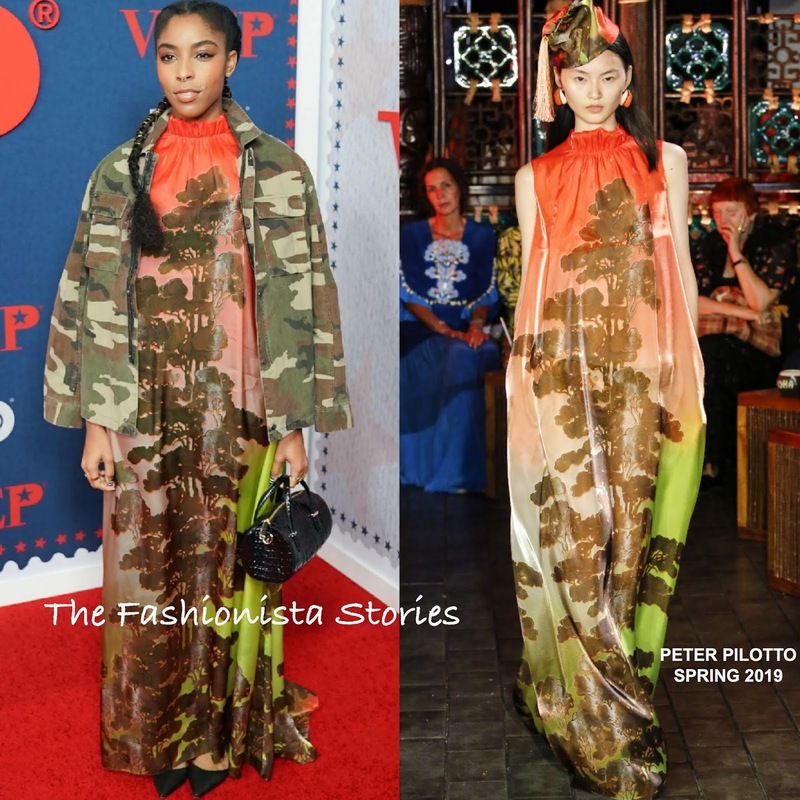 Playing around with prints, she rocked a camouflage dress with an PETER PILOTTO SPRING 2019 printed high-neck, liquid organza gown underneath. Her look was topped off with a complimentary beauty look, a BRAHMIN bag and FRANCES VALENTINE pumps. 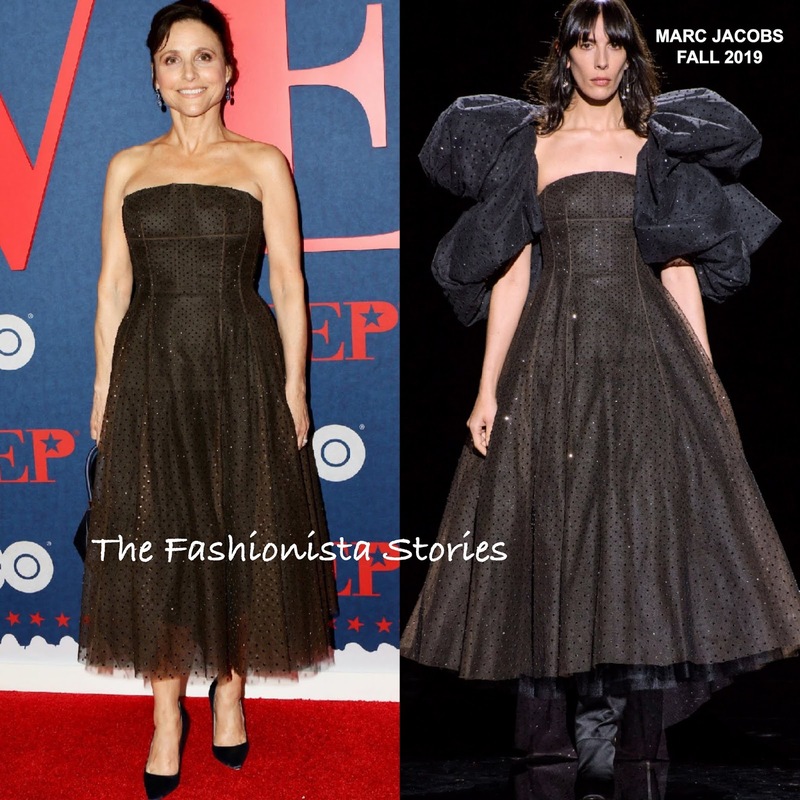 Julia Louis-Dreyfus chose a dress from the MARC JACOBS FALL 2019 collection, which she accessorized with NAM CHO jewelry and a black clutch & pumps. While the dress suits her without the extra tulle underlay, I actually prefer it as it adds some drama to the pleated tulle embellished dress. Anna Chlumsky worked a playful printed dress by WHISTLES. 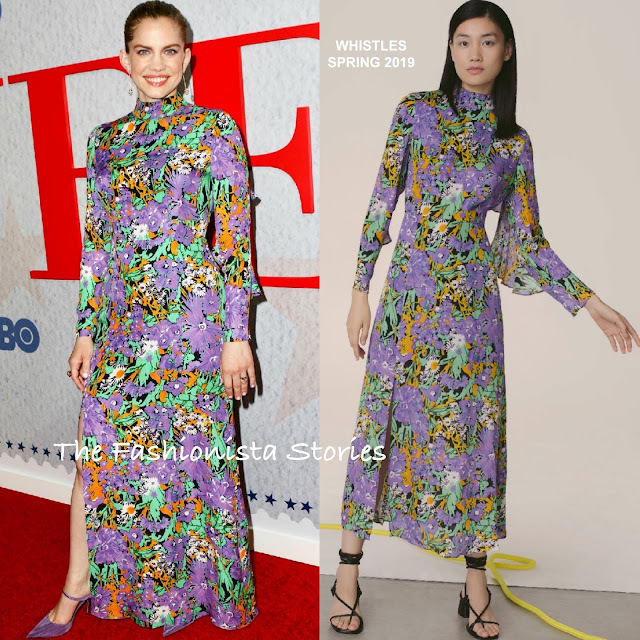 Her SPRING 2019 side split dress was accessorized with DAVID YURMAN & JEFFREY LEVINSON jewelry and TABITHA SIMMONS heels. 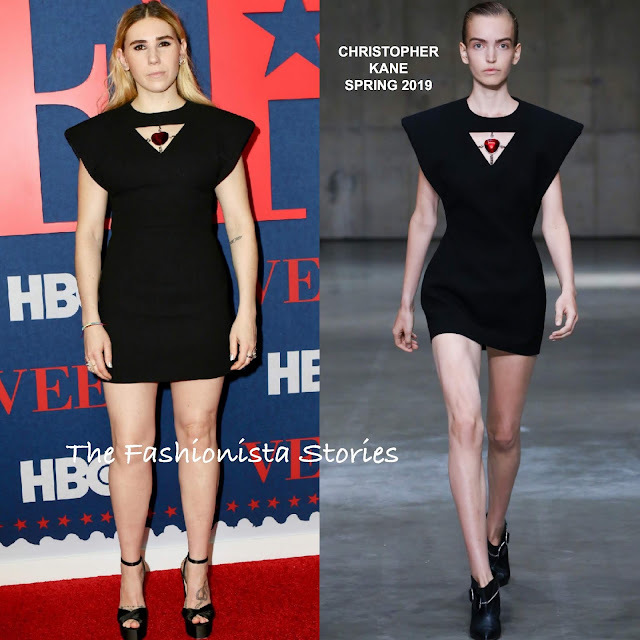 Zosia Mamet wore a CHRISTOPHER KANE SPRING 2019 wide-shoulder, black mini dress, featuring a triangle cutout gemstone neckline and a nipped waist. There is some fit issues, especially at the top but this is a cute dress.